In order to harness my tendency to jump around on projects, I have adopted the practice of working on several pieces at a time. 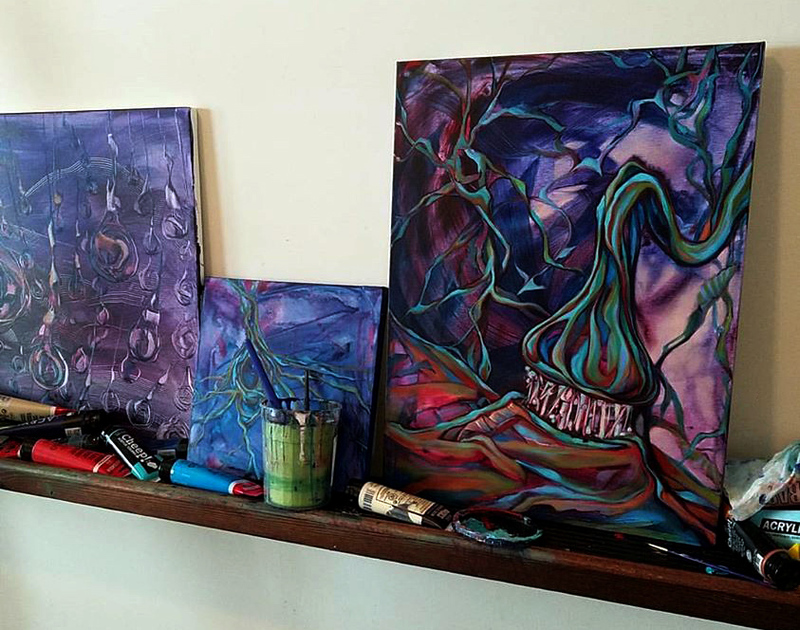 Here are my current works in progress, additions to the neuron series varying in size and imagery but all related to the one theme. I really enjoy working this way and find it helps me avoid creative slumps. If I feel stuck with one piece, I just jump to the next. This seems to create siblings naturally, as they develop side by side and share certain attributes. I hope to soon reach the final stages with each and debut them as three individual, but obviously related, members of the growing collection.